Previously: Rested but wary of what was to come, Gina, Zack, and their friend B’frona turned to face the future. This is the final episode of The Wishing Map. “I will make it better! I swear by Uol!” Zack shouted out the window, across the River Rennou, over the tops of the mighty irontrees. “Huh?” Zack turned to find Gina standing beside him at the window. Zack could hear Rhema speaking the words. He smiled, not because he knew what it meant, but because he trusted her. “You just figure that out?” Zack grinned crookedly. “When do we leave for Zshinia?” asked Gina. “Tomorrow.” He put one hand on Zack’s shoulder and silently took Gina’s with his other, as the three stood staring out at the cloud-shadowed outlines of the distant mountains. This entry was posted in Culture, Story Power, The Wishing Map and tagged danger, fantasy, future, mission, purpose, story, together. Bookmark the permalink. told the story any other way would have diminished its effectiveness. to teach, and teach it does. I’m so honored you took the time to read all the way through. Yes, I chose to be graphic in order to show evil, including that which lives in us, for what it is. Few have noticed the allegorical and psychological/coming-of-age elements in the story to the extent you have (a sort of Narnia meets Harry Potter approach). I appreciate your keen mind and sensitive soul. It’s been a pleasure getting to know you this past year. 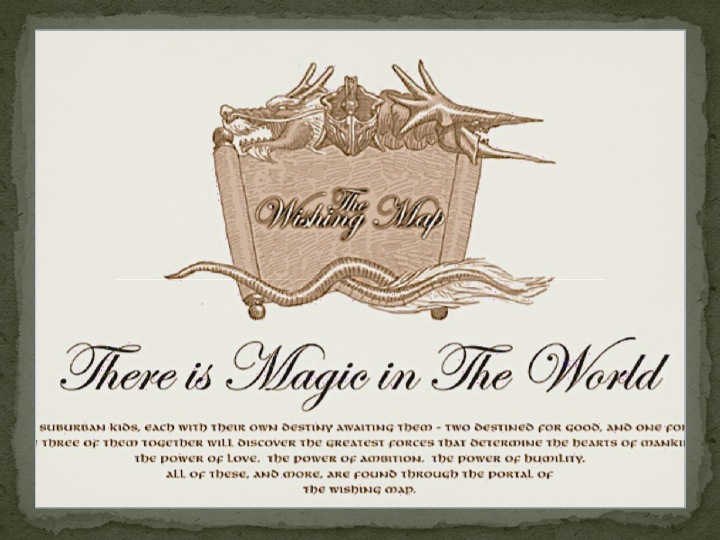 The Wishing Map is the first of four planned books, but I haven’t found the time to write the others yet. I’ll be looking for those other books!! I finished reading this, from Episode 127. The tale of these brave children will no doubt continue and the purpose of their lives will be fulfilled, long after their departure from that world- as it will for each of us, beyond this world.